The seven justices on the state’s highest court heard back-to-back arguments Wednesday on whether Amendments 6 and 8, which deal with victims’ rights and charter schools, should remain on the Nov. 6 general election ballot. The state Supreme Court will soon decide if two controversial constitutional amendments will be struck from the ballot in November — a decision that could have ramifications for several more of the record 13 amendments Floridians may have to consider in the polling booth. 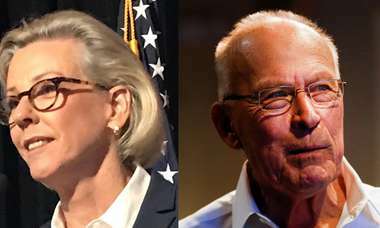 The seven justices on the state's highest court heard back-to-back arguments Wednesday on whether Amendments 6 and 8, which deal with victims' rights and charter schools, should remain on the Nov. 6 general election ballot. The two amendments were among those crafted by the state Constitution Revision Commission that meets once every 20 years, and critics have argued the ballot items were drafted with language that misleads voters. Attorneys for plaintiffs in both cases contended Wednesday that voters should not be allowed to consider the amendments at all, citing what they said were omissions in the ballot titles and summaries that fail to sufficiently describe the effects of the changes. But lawyers on behalf of the state asserted that the language fairly describes the chief purposes of the amendments, and suggested at times that plaintiffs' objections were based on the content rather than the description of the proposed changes. Justices repeatedly interrupted to question attorneys on both sides in each case, asking the state where the ballot language specified each amendment's impacts and asking plaintiffs what constitutional changes they alleged would not be reflected in the language presented to voters. Amendment 6, the victims' rights item, would also increase judges' required retirement age from 70 to 75 and change how judges defer to state agencies in certain cases. But the main "bill of rights" for victims section, modeled after Marsy's Law in California, would add rights including the disclosure of information to victims, restitution and pre-trial releases. It drew support from major Republican and Democratic lawmakers but has also been criticized for potentially flooding the justice system with additional responsibilities. Amendment 8 would create a way for the state to bypass local school bards and expand its authority to oversee charter schools. Supporters of the amendment say the language would ensure charter schools are not unfairly denied by local boards, though opponents allege it would shrink school boards' autonomy and oversight. The amendment would also add new eight-year school board term limits and expanded civics education in public schools, though the charter schools portion of the amendment has drawn the most fire. Two Leon County judges separately struck each amendment from the ballot last month, forcing the state to appeal the decisions. Given the impending election — and the fast-approaching deadline for printing ballots — both cases were waved past the First District Court of Appeals. 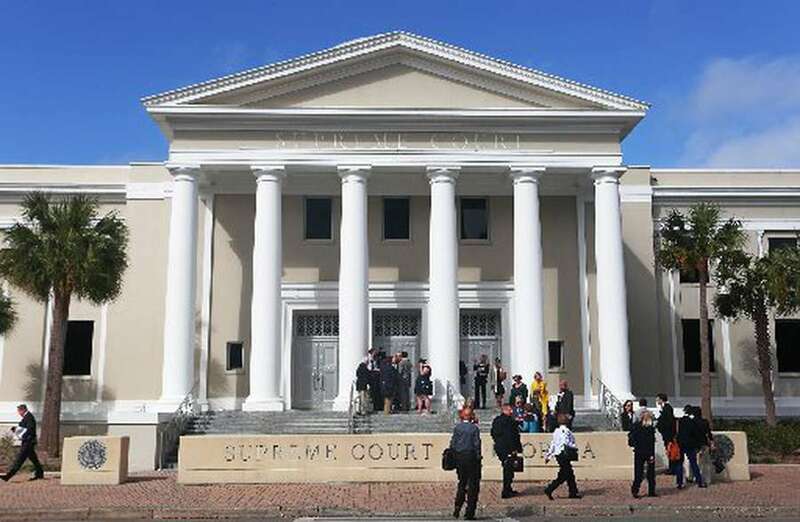 The state Supreme Court agreed to hear both cases Wednesday — though the justices were in West Palm Beach for an event — to expedite a ruling. Ron Meyer, an attorney for the plaintiff League of Women Voters in the charter schools amendment case, said the ballot language insufficiently explained to the voter that it sought to create a new class of public schools established by the state rather than the school board. But deputy solicitor general Daniel Bell insisted the language of the amendment, though not detailed, established the purpose to "[permit] the state to operate, control, and supervise public schools not established by the school board." 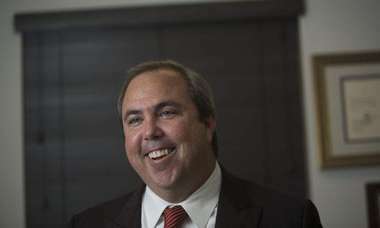 Mark Herron, an attorney for plaintiffs in the Amendment 6 case, argued similarly that that ballot summary did not sufficiently capture its full impact on the right to a speedy trial and defendants' appeal process, though Barry Richard, representing the Marsy's Law organization and appearing on behalf of the state, countered that the amendment does not repeal or infringe on any already existing rights. Harvey Sepler, an attorney for another plaintiff, Amy Knowles, in the victims' rights case, also argued that the way that amendment put multiple proposals together infringed on the right "to exercise a free and meaningful vote" entirely, though Richard rebutted that the state Constitution has no single-subject limit on CRC amendments. The "logrolling" practice of combining several issues in one amendment that has come under fire is also the subject of another case that was brought by retired state Supreme Court chief justice Harry Lee Anstead last month. Anstead argued that the way the amendments are bundled prevents voters from voting on specific proposals, and asked the court to remove six of the CRC's eight proposed constitutional amendments that lump multiple proposals together. But the state Supreme Court kicked that case down to Leon County Circuit Court, declining to hear it directly.